We’ve been based in Bushwick for awhile now, and the Brooklyn neighborhood has changed tremendously. While at one time it was tricky to find new places to eat and drink, now it seems a week doesn’t go by without a new venue popping up. So many Bushwick restaurants seem to offer high-quality and creative concepts, whether that be a children’s yoga studio that turns into a bar at night (The Cobra Club), spaces that mix disco brunches and aerial silks dance parties (House of Yes) or a craft cocktail bar turning out elevated food fare and freak shows (Bizarre Bar). Of course, the Latin and Spanish eateries that have stood the test of time should also not be overlooked (we love Gaby’s Bakery). Below, find some of our top food and drink picks for the neighborhood, or head to Brooklyn to experience it for yourself and tap my Jessie on a Journey layer in the app. 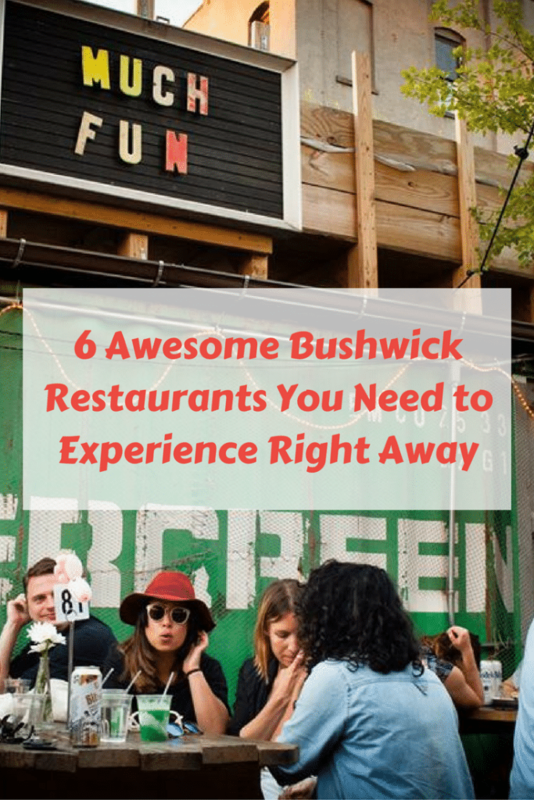 Tip: Don’t want to visit Bushwick without a guide? 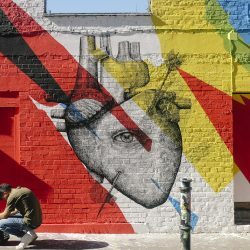 Take my Bushwick Beer Bites & Street Art #InstaWalk, or a private and custom photo safari focused on Brooklyn. 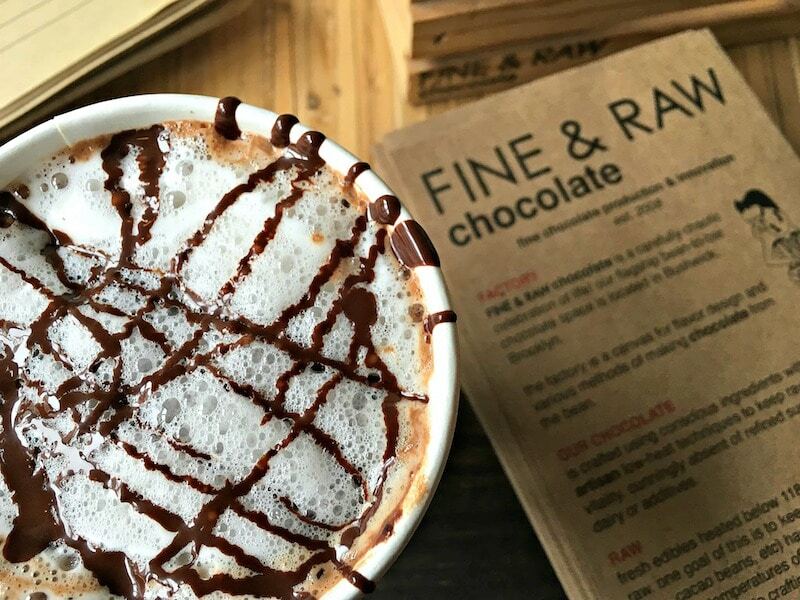 Savoring a mocha at Fine & Raw Chocolate Factory. Photo via NYC Tours & Photo Safaris. Fine & Raw Chocolate is simply amazing! The factory and tasting room was started by Daniel Sklaar, who began making the treats in his Williamsburg loft. After encouragement from friends and the local shops who he would deliver to by bike, he opened his Bushwick factory space, which has a very lived in, unpolished vibe (in a good way!). Their products are void of refined sugar, dairy and additives. Instead, they focus on using organic and natural ingredients to create innovative raw and half raw/half roasted bars, crafted on low heat (raw chocolate must be cooked below 140 degrees Fahrenheit) to preserve the cacao’s raw characteristics. Bonus: they typically have three-to-five different free samples of their chocolate bars and spreads. Our addictions: the coconut-laced dulce de leche and the raw chocolate mocha, shown above. Hey, they say Katherine Hepburn credited her beauty to eating a pound of chocolate per day. While we don’t know if this is medically proven, for now we’re choosing to believe it. 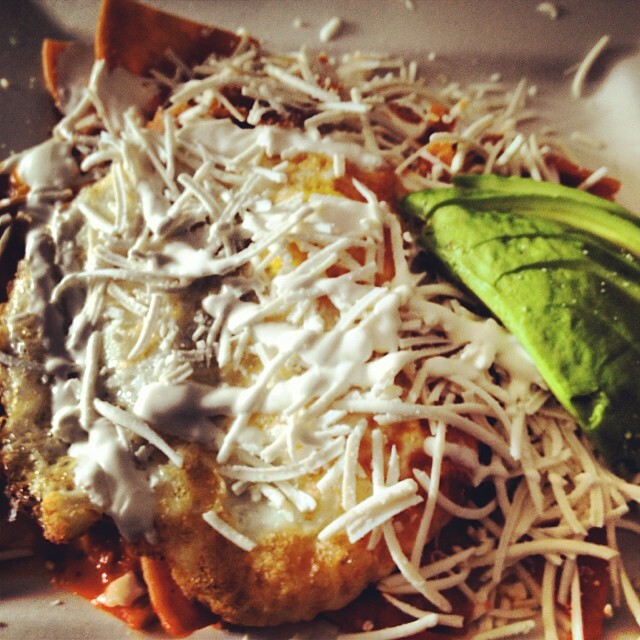 Delicious chilaquiles, my favorite item to order off the 983 menu. Photo via NYC Tours & Photo Safaris. 983 – Bushwick’s Living Room was our original favorite when moving to the neighborhood over four years ago. We love chilaquiles, so if we ever see chilaquiles on a menu, we order them and, along with Mayahuel in the East Village, 983 has stolen our heart for the best. At this point we’ve eaten almost everything on their menu, and nothing has been disappointing thus far, especially paired with a Mason jar cocktail. The decor is simple, though every touch from the large windows letting in natural light to the chalk board-written specials to the local artwork makes it special. It’s tiny and the tables are close together, but this has only helped us make new friends during visits. We highly recommend this spot, along with the owners’ other space down the street Forrest Point. 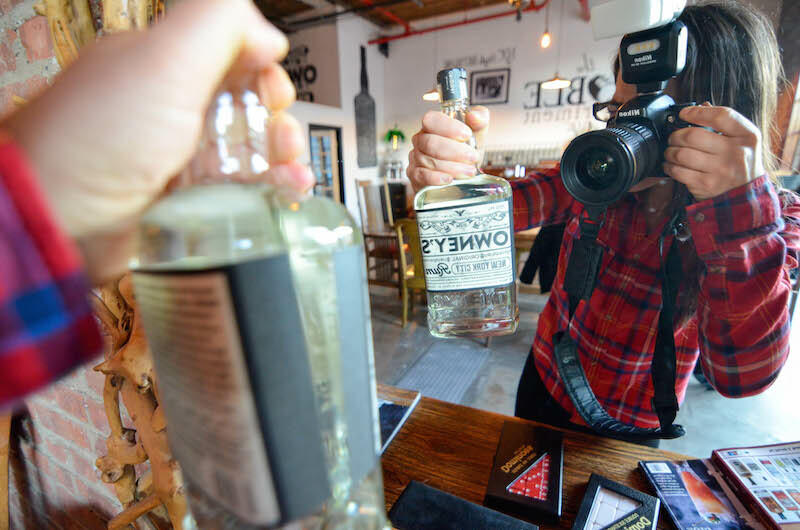 Having photography fun with Owney’s Rum. Photo via NYC Tours & Photo Safaris. Did you know rum was New York’s first and most popular spirit back in the day? In fact, by the 1720s there were 16 rum distilleries in the state. 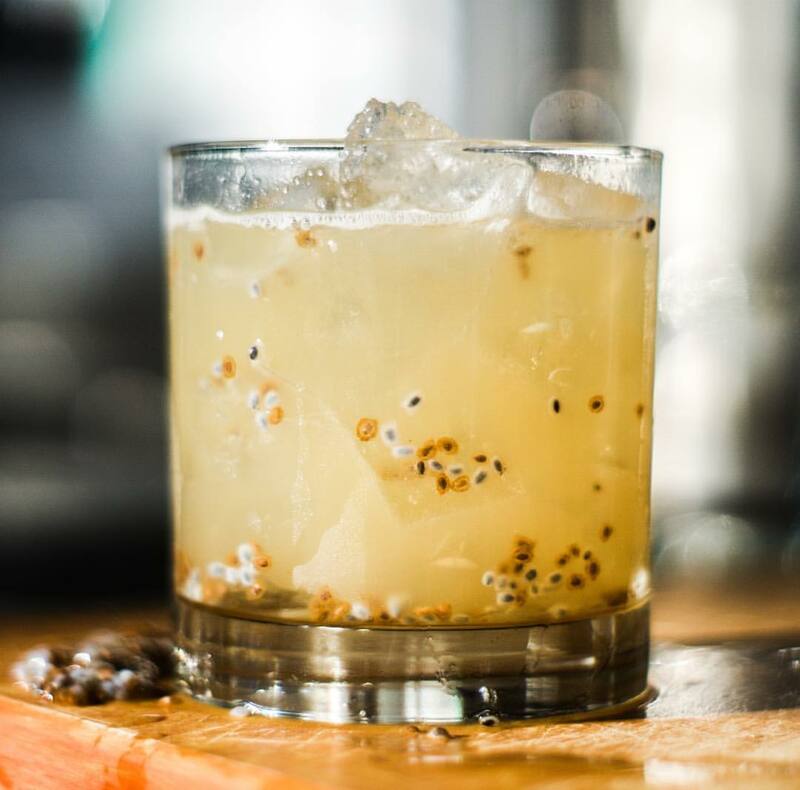 The Noble Experiment works to bring this tradition back with their signature Owney’s Rum, made with 100% domestic ingredients. Their space is large with a big communal table, and they offer $10 tours that include tastings. We love their classic rum cocktails and free bar snacks! Brunch at Tutu’s. Mason jar brunch drink out of frame, but you know it’s there 🙂 Photo via NYC Tours & Photo Safaris. Step inside Tutu’s and get transported to the countryside through lots of wood, natural light and walls lined with antiques and chatchskis. In the warm weather we enjoy dining outside under the rotating 40-foot-wide Varet Street Mural and getting inspired while sipping a baked apple bitters-infused “Maple Old Fashioned” paired with dishes like seasonal seafood boils, three cheese mac & cheese, and baby back ribs smothered in homemade barbecue sauce. The best time to visit is brunch. Don’t miss comfort foods like Belgian waffles with chicken wings fried to perfection. Or burrata-laced avocado toast, and a meat-heavy “Trucker’s Plate” with sides of cheddar grits, and smoked paprika home fries. Their offbeat nightclub in the backroom is also awesome, great for dancing (and people-watching). Delicious Roberta’s pizzas. Photo via Roberta’s. 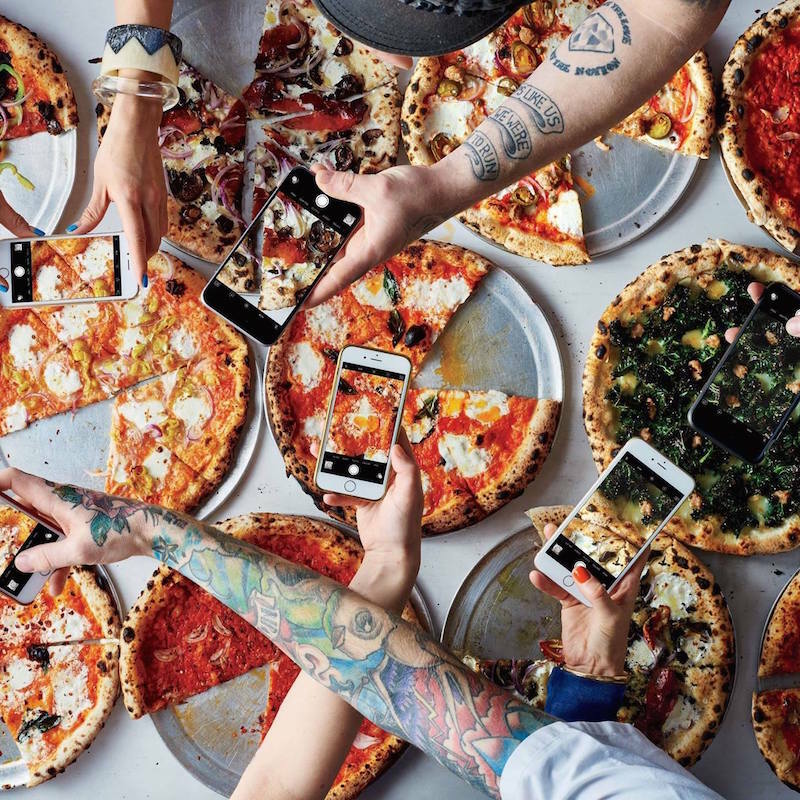 Roberta’s Pizza is Bushwick’s best restaurant and #1 attraction. It’s one of those places that gets rave reviews in the press all the time and you go sort of expecting to be underwhelmed…but then you’re not. Quite the opposite. Every time we go in — whether I’m ordering one of their many creative woodfire oven pizzas, chicken liver-laced orecchiette or a favorite cocktail, a mezcal-based “Mutual Consent” with Fresno pepper vermouth and amaro, I’m always blown away. 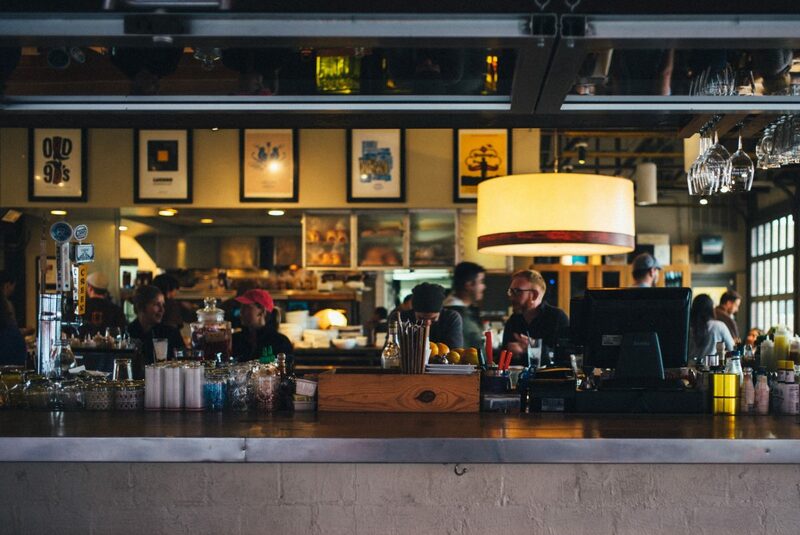 As we think ambiance is important, the mix of communal tables, open-kitchen, indoor/outdoor seating, rooftop garden and pizza-themed artwork enhances the experience. There’s also an apiary where they source their honey that tops our all-time favorite pizza, the “Bee Sting” blending Soppressata and honey. It’s sweet and savory at its finest. Food + Booze + Movie = Heaven in Bushwick. Photo via Syndicated BK. Who doesn’t love an activity with their food and drink? Syndicated BK is a bar, restaurant and theater in one. The menu features a mix of small and large plates like grilled meat skewers in yogurt sauce, dry-aged brisket burger and a hot sauce-slathered chicken burger with bleu cheese, not to mention they do a weekend brunch. Yes, the food is yummy, but why we’re really recommending this spot is you can eat — not to mention sip cocktails and adults milkshakes — in their giant theater, where they show film favorites for $3. 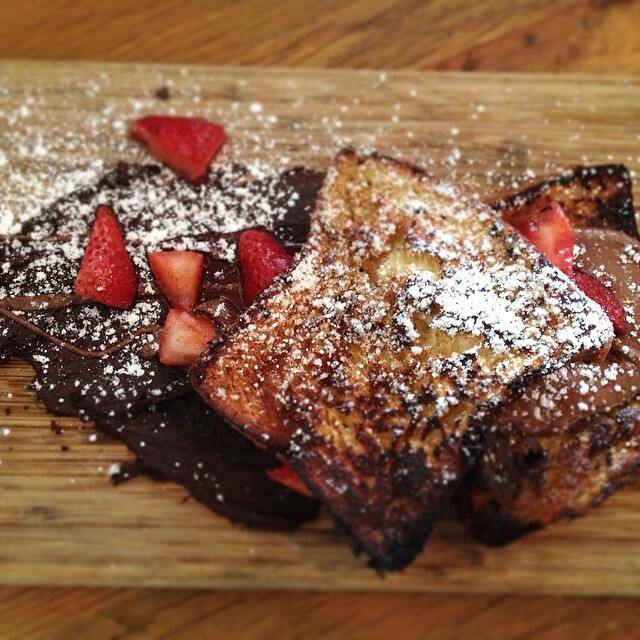 What are your favorite Bushwick Restaurants? Please share in the comments below! *This article originally appeared on Jessie on a Journey. Featured image courtesy of Angelica_Online/Pixabay.